No, This Wasn't Photoshopped. It's What Happens When Idiots Breed Dogs. Every once in awhile you come across something so special, you can't even wrap your head around it. In 2010, I was working as an animal control officer and found myself in the middle of a dispute with neighbors over their loose dogs. While I waited for the owner of the loose dog to come home, the couple who initiated the complaint told me they had just gotten a pit bull puppy but couldn't keep her. They asked if I wanted to see her. I agreed and out came Cuda on a leash made of twine. As I looked her over, I was dumbfounded. She was like no other dog I had ever seen. She had a squished body and a huge jaw with a serious underbite, and appeared to be a mix between a gargoyle and a pig. Or a gargoyle and a frog. There was an awkward silence between me and the couple. They didn't acknowledge Cuda's weird looks. They only told me they named her Cuda because her underbite reminded them of a barracuda. As I pondered taking her home, I was taken over by negative thoughts such as, "Will she live? ", "What's wrong with her?" and "What kind of vet care will she need and how will I afford it?" The couple pressed on about how they had to leave town immediately as they were having trouble with people in the neighborhood. My worries were taken over by a fierce urge that I had to protect this dog. I knew if I brought her back to the shelter, the staff veterinarian would assume she was unhealthy and would euthanize her. Although I had no idea what I was going to do with this puppy, I texted my husband asking him if I could take her home. He (reasonably) replied that we already had four dogs at home but I kept texting back that he didn't understand. I could feel the anger in his text when he finally, begrudgingly, relented. Since I was still at work, I made arrangements to meet the neighbors again that evening, wondering if they would even show up - and almost half hoping they wouldn't. I was really nervous about taking this dog on. They did show up and I suddenly became the owner of a dog so unique that I thought she was the only one in existence. I hesitantly walked through my front door and my husband recoiled at the sight of Cuda. He instructed me to get her to the vet as soon as possible to find out if she was going to even live. Cuda promptly fell asleep on the couch, even though she couldn't even get up there without my assistance. The vet initially thought Cuda had a neurological issue, but upon examination, he declared her healthy. Still, he had no idea why her appearance was so unusual. Relieved she was not in any pain, I took her home and life with Cuda officially began. As she grew, she gained more mobility, and soon she was playing with our other dogs and cats so normally we didn't even see her as different anymore. 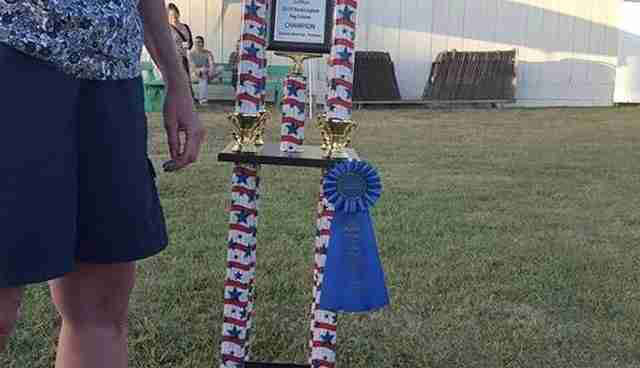 A couple of months later we were watching the World's Ugliest Dog Contest winner on TV. 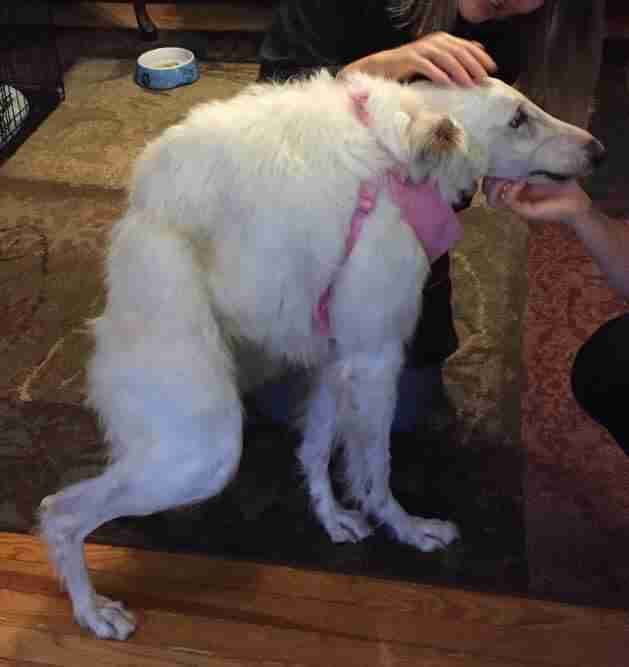 Abby was presented as an inbred dog due to her curved spine and I thought, "I can top that!" We jokingly decided to put Cuda into the 2011 contest because her looks were so unique. I wanted to see the reaction of others to Cuda and while we knew she was so cute, we felt she had a chance at winning. I created a Facebook page for her and began campaigning. I believed Cuda was inbred and that her poor genetics contributed to her odd looks. When I was an animal control officer, I noted that breeders lived next door to one another and often had dogs who were related to each other. I felt their reckless breeding practices included inbreeding dogs who were closely related. The couple who gave Cuda to me even found her page and contacted me to tell me they found her on Craigslist through an advertisement for pit bull puppies being sold out of a guy's house. They paid $50 for her but only had her two weeks. Perhaps they realized Cuda did not look like other dogs and changed their minds. Perhaps they were just as apprehensive as I was about her future. Based on my experience with breeders in the neighborhoods I worked in, and the fact that Cuda's original owners got her from a backyard breeder, I touted Cuda as inbred on her page. I shared Cuda's story everywhere. 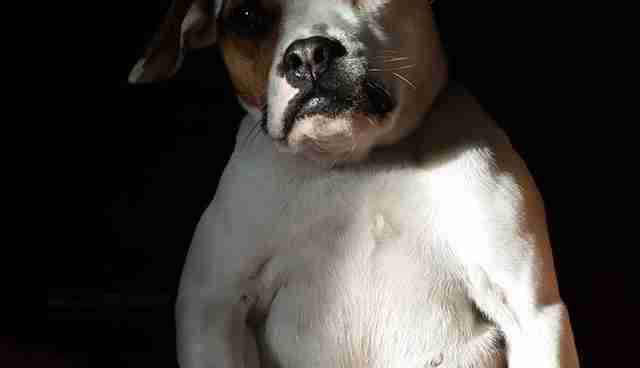 Soon, she was being featured on pages like PeoplePets and in print through American Dog Magazine. In 2010 there weren't a lot of famous dog pages, and Cuda's popularity began to take off. Once I learned that Cuda had been born to a backyard breeder and gave some thought to how she almost ended up surrendered to a shelter, my attitude about putting Cuda into the contest changed from lighthearted humor to a mission to educate people about these backyard breeders and urge them not to shop on Craigslist but to adopt instead. Our campaign lasted eight months and we attended many dog-friendly events, made the local news and met a lot of people who absolutely fell in love with my imperfect puppy. 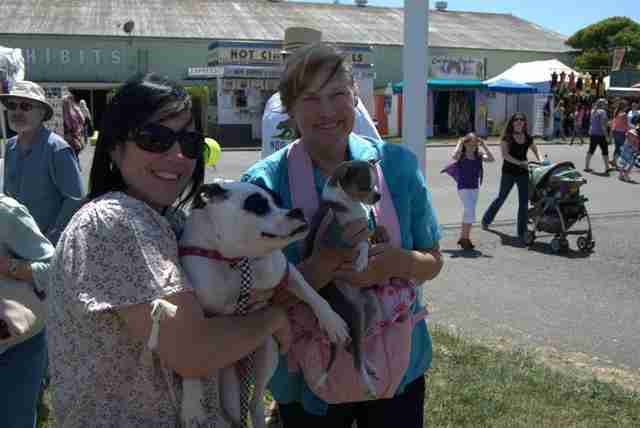 We even met Princess Abby and her owner. Several months after we began our campaign, a photo began circulating on our page of a dog who people claimed was photoshopped or looked the way she did because she lived inside of a box. I knew both statements were untrue. That dog had the same physical shape as Cuda. I finally tracked the dog down and learned her name was Quasi and she lived in Italy. I struck up an online friendship with her owner, Fabiana Rosa, and she explained to me that Quasi and Cuda shared a condition known as "short spine syndrome." 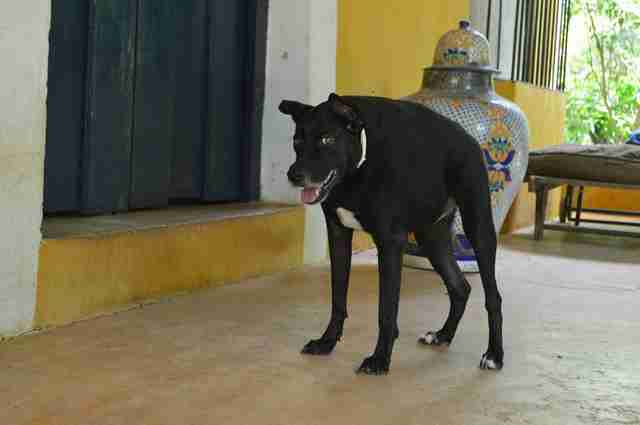 Fabiana explained that Quasi was incapable of moving her head and was born with no ligaments in her rear left knee, which had to be surgically repaired. 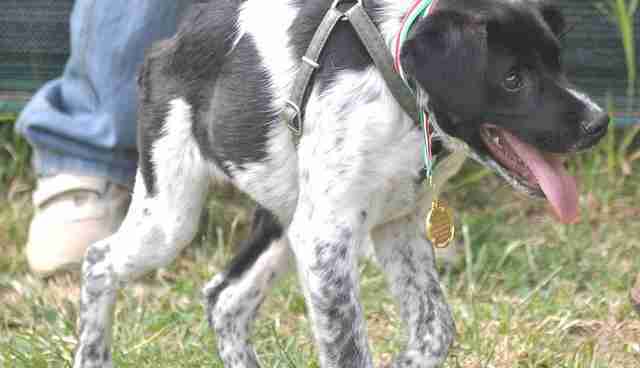 Fabiana founded Progetto Quasi and is dedicated to helping special needs dogs. 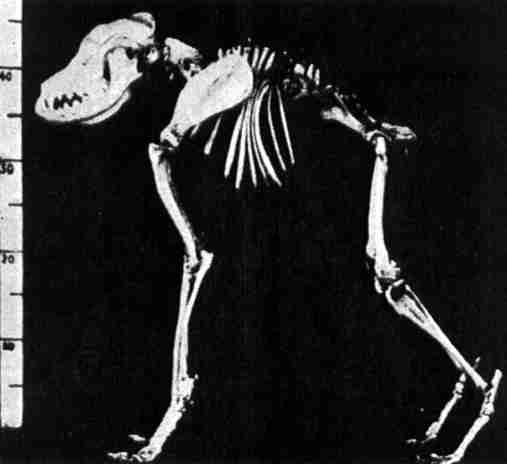 Fabiana sent me to an article that referenced a paper by Hans-Jorgen Hansen called "Historical Evidence of an Unusual Deformity in Dogs ('Short‐Spine Dog')," which appeared in the Journal of Small Animal Practice. I learned that this syndrome was referenced all the way back in the 17th century in paintings done by David Klöcker Ehrenstrahl, who referred to his subjects as "monster of wolf and dog" and "monster of fox and dog." 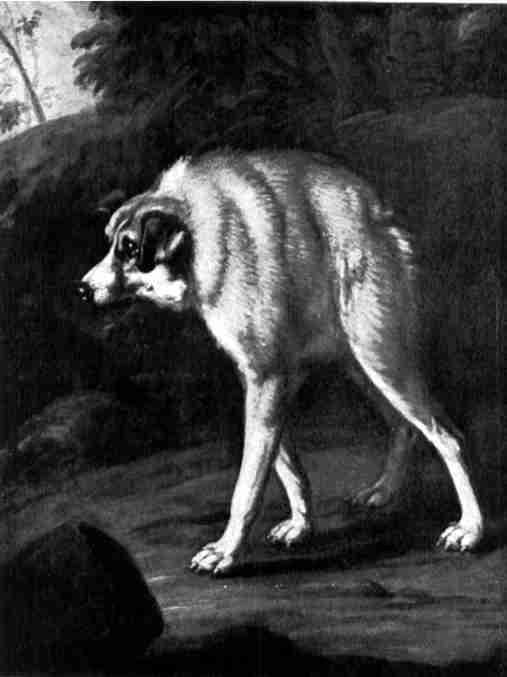 Hansen's article goes on the discuss more studies of these paintings by art critics who defined these dogs as evil, fantasy creatures and the unfortunate result of inbreeding. They all agreed the syndrome was a genetic phenomenon, which causes shortening of the spine and ligaments, a sloped profile, elongated front legs and hocked rear legs.They also describe the absence of a tail or a bobbed tail. 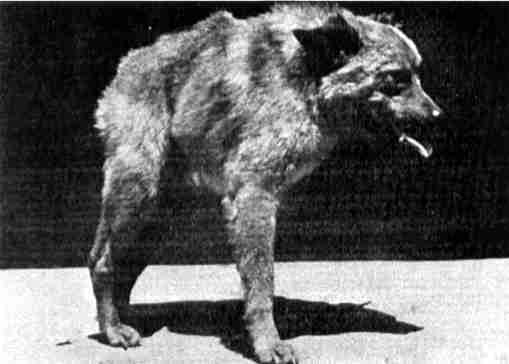 Discussions about short spine dogs were referenced again in a series of articles written between 1956-1961 discussing a native Japanese dog with the syndrome. These articles were referenced in a book called "Genetics of the Dog" by Elaine Ostrander, published in 2001. The book traces the cause of the condition to inbreeding and also states that females tend to have longer heats that normal dogs and that if they can carry offspring at all, they generally only produce a single puppy. In 1982, a veterinary textbook called "Animal Genetics" referred to The Baboon Dogs of De Boom in South Africa. 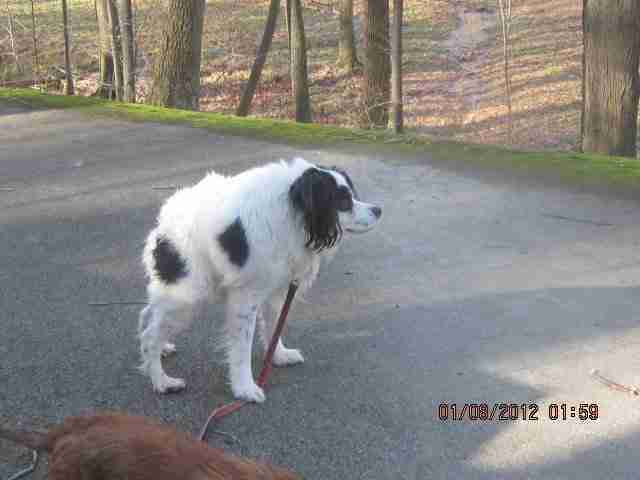 It wasn't until a year or so later that a photo of a spaniel mix named Crumpet located in a Twinsburg, Ohio, shelter appeared on my page. Crumpet clearly exhibited short spine syndrome and through research I learned he was adopted in 2012, when he was 8, by Maria Rall, who renamed him Mojo. Shortly after that, Mary Beth Goosman contacted me about her dog, Watson, a border collie she adopted after he ended up in the The Washington Animal Rescue League when he was 8 years old. She had no idea what his condition was but she loved him unconditionally. Watson lived to be nearly 14 and passed December 11, 2015. Quasi's mom, Fabiana, told me about Criket, who also lived in Italy. 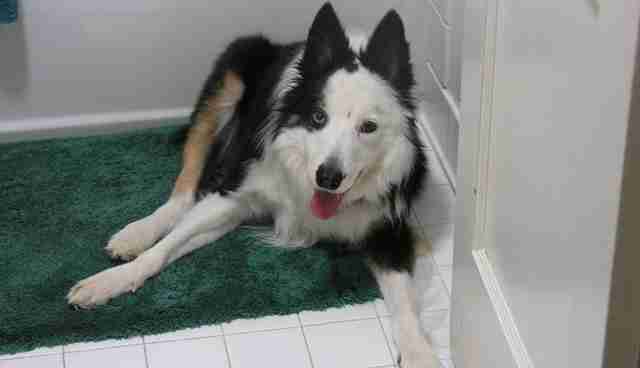 Criket was a border collie as well and was born to one of owner Anna Canese's dogs. 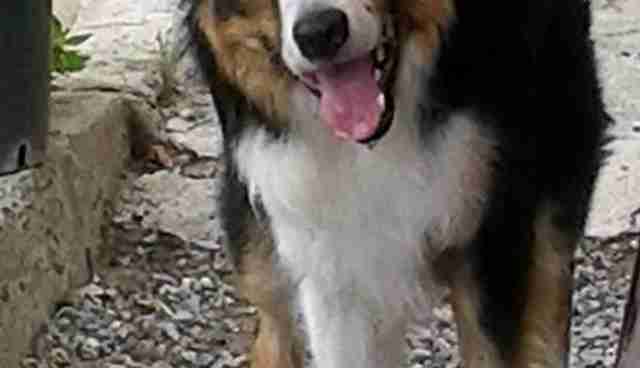 Criket suddenly passed away December 6, 2015 at age 9 from a gastric torsion, which can happen to any dog and is not exclusive to short spine syndrome. 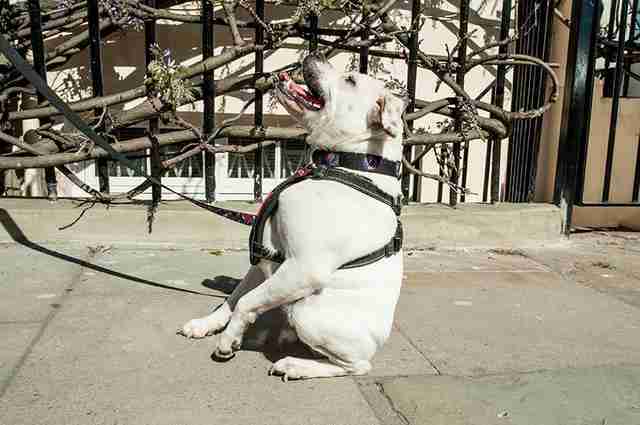 In 2014, a short spine dog named Pig went viral on social media. 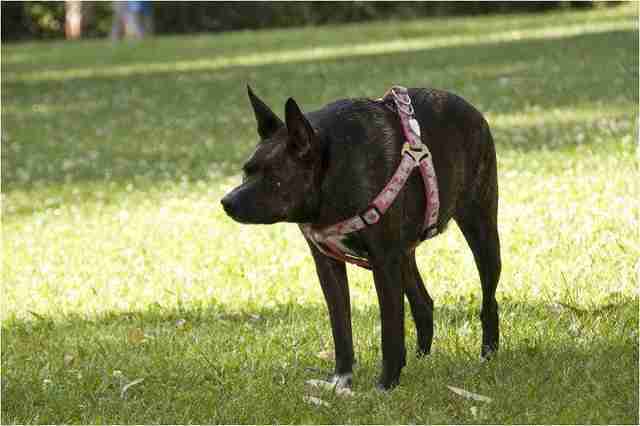 Pig is a Chow mix owned by Kim Dillenbeck, who found her when she was a puppy. The only known issue with Pig is that she suffers from the long periods of heat. She is now a little over a year old and lives in Alabama. Not long after Pig's introduction, I was contacted by Brandon McDonald in Wisconsin. He told me told me about his dog Cleo, a border collie mix he adopted through Angel's Paw Rescue. Brandon had previously adopted Cleo's sister, Molly-Faith, who also had short spine syndrome, but sadly she passed away when she was 6 months old because she failed to thrive. 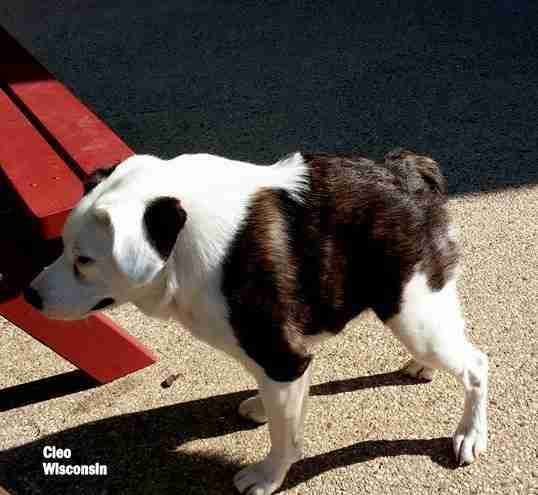 The rescue contacted Brandon to see if he would adopt Cleo and he did. Cleo is doing great and is going on 4 years old. Then along came Quasi Modo. 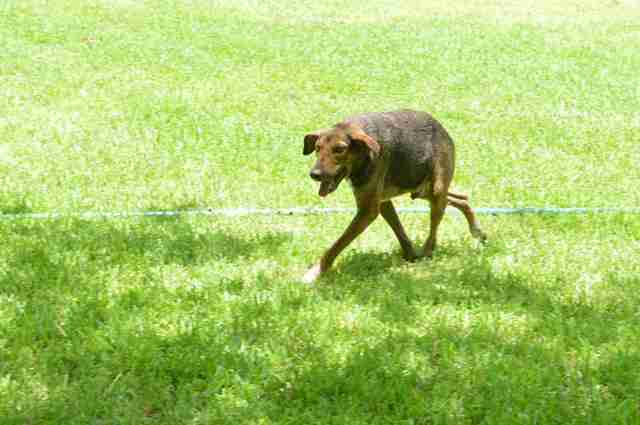 She is a 10-year-old mixed breed dog belonging to veterinarian Virginia Sayre in Florida. 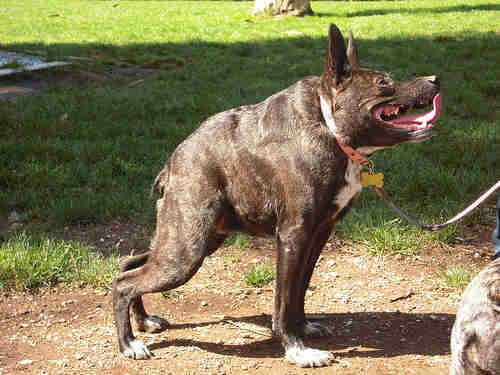 Quasi went on to accomplish what Cuda didn't: She won the World's Ugliest Dog Contest in 2014. Quasi Modo and Quasi are so similar in looks and name that they get mixed up frequently. It wasn't long after that I was contacted by Angela Wright Lonergan in Texas. 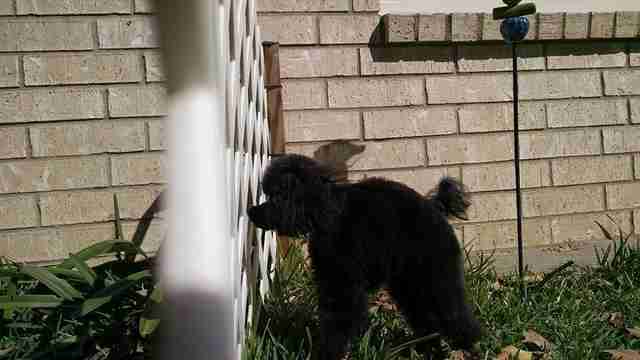 She, too, is the proud mom of a short spine dog, a poodle named Izzy Belle. Izzy Belle and her sister, whom Angela also adopted, looked the same until they turned about 4 months old. That's when Angela noticed Izzy Belle was developing what she found to be short spine syndrome. Izzy Belle is tiny, only a few pounds, but has no health issues and is now 3 years old. Several more short spine dogs came out of the woodwork at the same time. 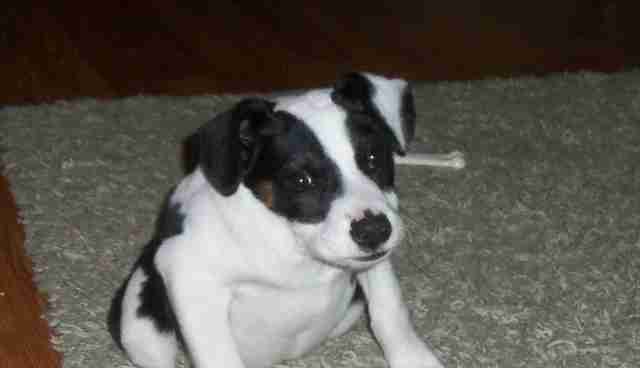 Frankie belongs to Ann O'Brien in the U.K. Frankie is a foster fail who is a Jack Russell terrier mix. Then there are Odd Dog and Gobblin. They were found in a box in Rome when they were about 5 months old. They are likely siblings. 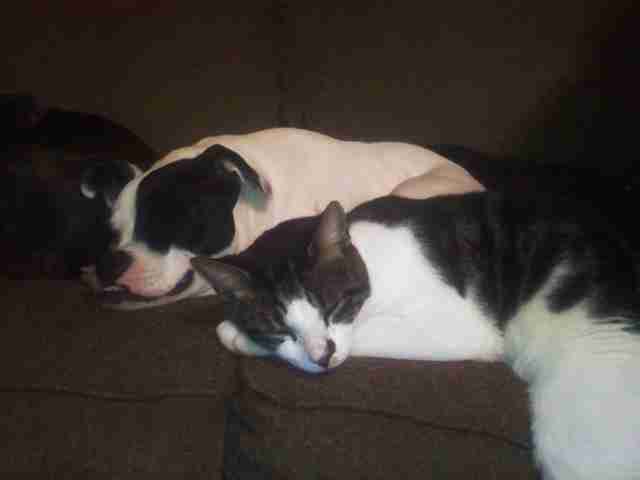 Quasi's mom, Fabiana, stepped up and helped place them in their current homes. 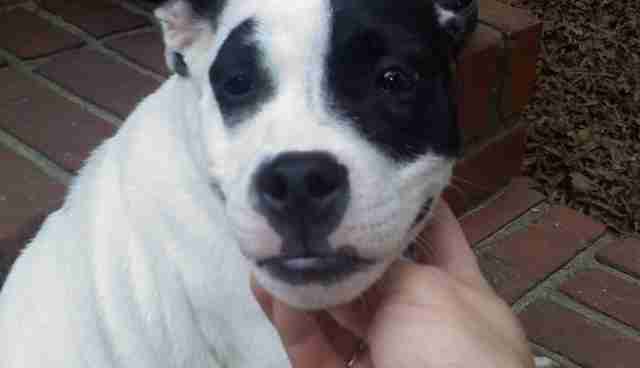 See video of Odd Dog as a puppy here. 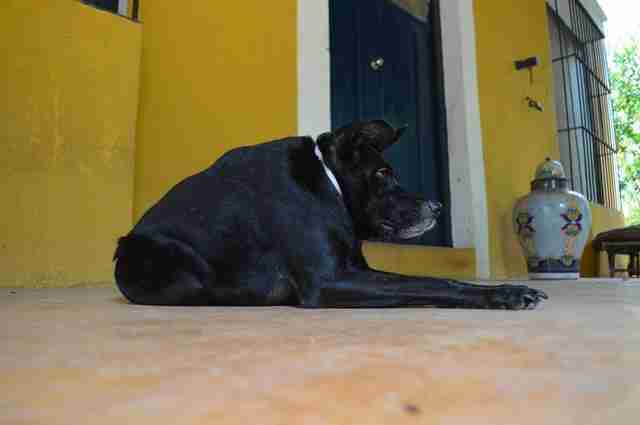 Several months later, I was contacted by an avid animal rescuer in Mexico named Arturo González-Ortega Frías. Amazingly, his short spine dogs, Mina and Vlad, were found on two separate occasions. Arturo says Vlad is shy with people while Mina is outgoing. Finding short spine dogs and their owners has showed me Cuda is not alone, as I once thought, and she can live a long life. The dogs mentioned above range in age from young adults through seniors. They come in any breed although it seems that many of them seem to be herding types. Cuda was diagnosed with diabetes when she was 18 months old but since then, a sonogram has revealed her organs are of normal size. 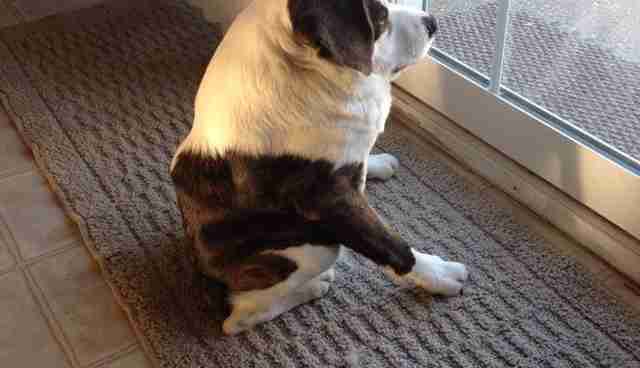 The vet did not feel her diagnosis was related to short spine syndrome. This rare genetic anomaly has brought people from around the world into my life, and their dogs seem like family. Three things happened while I was writing this article. As referenced above, we lost two of our short spine dog family within two weeks of each other. Their passing was a huge blow to all of us short spine parents. 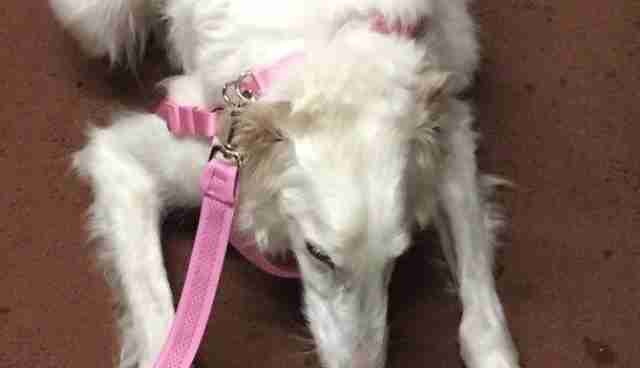 But then, just the other day, I received an email from a veterinarian named Karen Dashfield in New Jersey telling me about her 5-year-old Russian Borzoi named Polliwog. A breeder reached out to her when Polly was just 12 weeks old. Interestingly, she brings more genetic trait information to this condition. Polly had a littermate who was unable to walk. 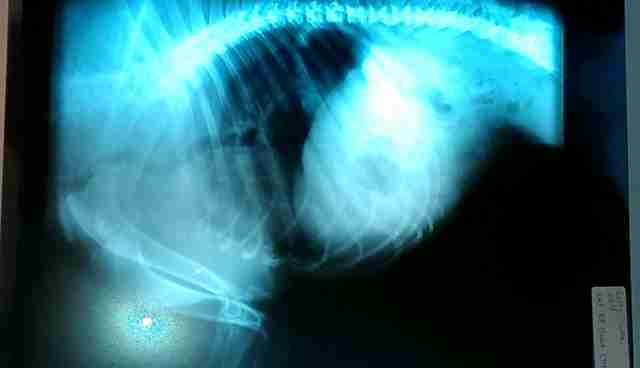 A second litter loosely related to Polly had two stillborn pups with defects that appeared to be related to short spine syndrome. Although we currently know of 12 of these dogs in the world, there is no doubt in my mind there are more. A veterinarian once suggested I donate DNA from Cuda to help in human research of spinal disorders. I reached out to a couple of teaching universities but never received a response. Turns out, I'm not alone in my quest. 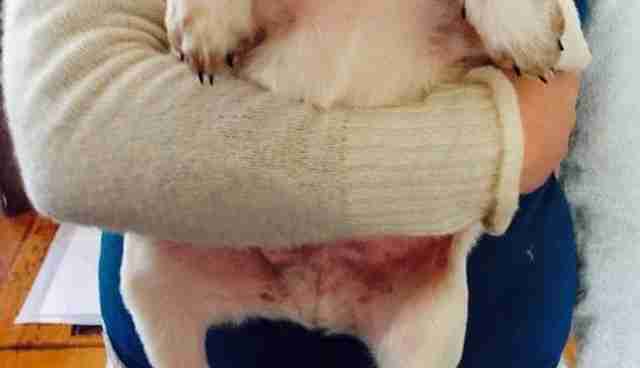 Veterinarian Karen Dashfield, Polly's owner, has reached out to several geneticists, too. Breeding closely related dogs (also known as inbreeding) is actually a strategy used to develop a purebred dog, Dashfield explained. Linebreeding is used to magnify desirable traits noted in a particular bloodline. Unfortunately, linebreeding also magnifies undesirable traits in a bloodline. Mixed breed dogs tend to inherit fewer genetic conditions based purely on the fact that their genes are not restricted within a strict bloodline. 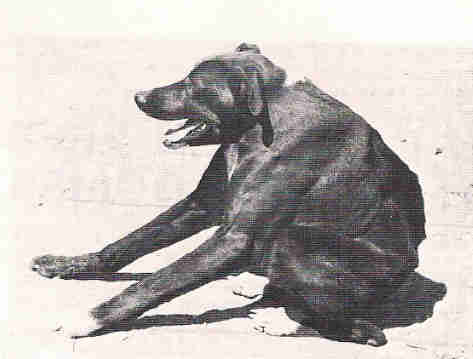 When asked about the baboon dogs of De Boom, Dashfield felt the reason there was an abundance of dogs with short spine syndrome was likely due to the fact that these dogs were breeding with close relatives due to their living conditions being remote and concentrated. One dog carrying the short spine gene could lead to generations of short spine syndrome being seen in the same region. 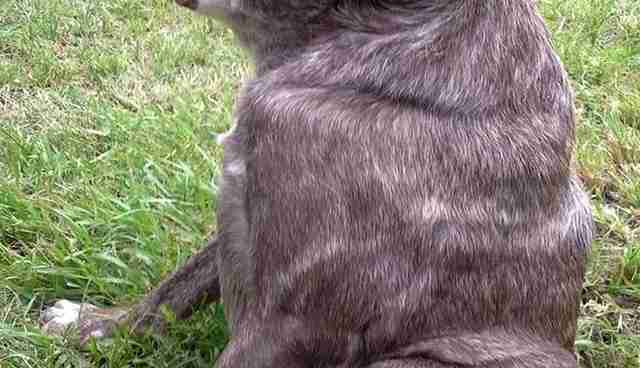 It would be interesting to have all of the short spine dogs tested to see if a recessive gene was discovered. Until I can make that happen, I am simply grateful that I was to have that moment where I found something so special, I couldn't wrap my head around it. As for my husband, whose initial reaction to Cuda was shock and disbelief, he promptly fell in love. 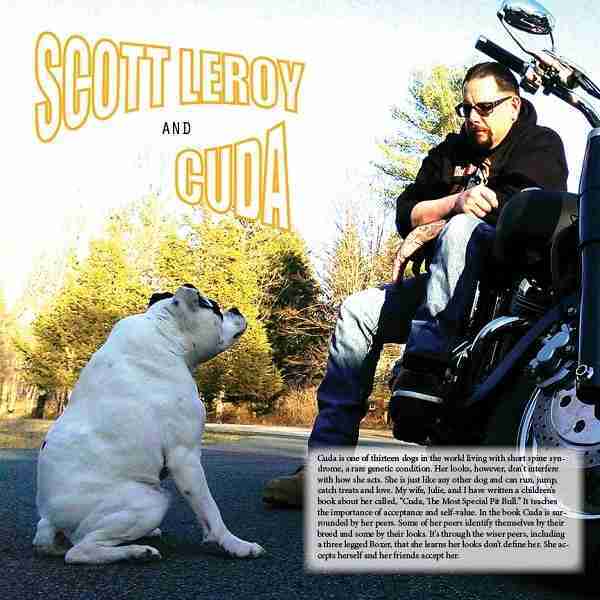 Fast forward 5 years later and Scott and Cuda are featured in the Pit Bull Princess's 2016 Real Men Rescue Pit Bulls calendar.